Mobile Animal Clinic was established in 1967 and began as a company that provided “house calls” for pets. In 1987, the business expanded and began offering office hours at its current location. 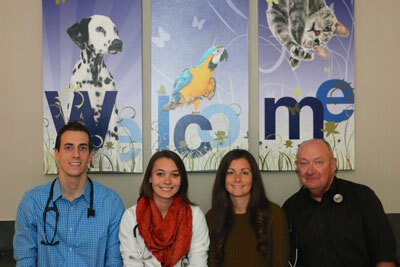 Over the years, new veterinarians joined the practice, the office space was expanded, and Mobile Animal Clinic became a fully equipped veterinary hospital, providing medical and surgical service for small animals. In 2011, the house call service was dropped, but the name remained the same because the name “Mobile Animal Clinic” was synonymous with experienced, common sense medicine pets and their owners rely on. Mobile Animal Clinic offers medical and surgical services for small animals, such as dogs, cats, reptiles and pocket pets like gerbils, rabbits and ferrets. In addition to its regular office hours, Mobile Animal Clinic offers an after-hours phone service for clients who have concerns about a current medical or surgical case. Mobile Animal Clinic’s doctors and licensed veterinary technicians are all individuals who have wanted to work with animals from an early age and pursued the education necessary to become a Doctor of Veterinary Medicine or a Licensed Veterinary Technician. This love for animals is also seen in the doctors’ and staff members’ personal lives, as they all have unique pets of their own that occasionally spend time at the clinic. Mobile Animal Clinic’s mission is to provide, “Experienced, Common Sense Medicine Pets and Their Owners Rely On!” Clinic doctors and staff strive to make their clients’ pets healthy and happy by providing an accurate diagnosis coupled with practical, cost effective treatment options. The clinic believes owner education in general care and preventive medicine is essential for a happy, healthy pet. Doctors and staff work to provide clients with up-to-date information concerning their pet’s specific needs and to answer any and all questions to the client’s satisfaction. Dr. Ellis Jensen is the owner of Mobile Animal Clinic. He enjoys seeing healthy pets and believes in doing wellness exams on his patients, but also loves the challenge of finding answers to problems they may be experiencing with their health. He insists on high quality medical care from both his staff and himself. Weekly veterinary meetings are held at Mobile Animal Clinic to discuss difficult cases as well as new treatments and protocols. Doctors and staff are always in learning mode at Mobile Animal Clinic. Mobile Animal Clinic’s website offers a blog called “The Faithful Scoop,” offering news pet owners may find useful including breaking news, tips and the latest health concerns. Along with routine spays and neuters, Mobile Animal Clinic offers a variety of complicated orthopedic and soft tissue surgical procedures. Other services offered for pets include microchipping, nail trims, worming treatments, digital x-rays and pet dental care to name a few. The clinic also connects clients with services they don’t offer, including crate training, grooming and boarding services. They can also provide information on rescue groups for those looking to expand their family!